Download Galaxy Note 2 User Manual (in PDF format) now. Galaxy Note 2 has a few variants: GT-N7100, N7102, N7105, N7108, SGH-i317, SCH-i605, SCH-R950, SGH-i317M, SGH-T889, SGH-T889V, SPH-L900, SCH-N719, SGH-N025/SC-02E, SHV-E250. If you cannot find the user manual for your model, you may request it from the comment box below. We will try to find and upload it for you. Download Galaxy Note II User Manual (in PDF, GT-N7105, Jelly Bean 4.1, September 2012, English): Download Galaxy Note II User Manual (in PDF, GT-N7105, Jelly Bean 4.1, September 2012, English) (Right click, choose Save As to download). Download Galaxy Note II User Manual in Portuguese (português, Brazil) (in PDF, GT-N7100, Jelly Bean 4.1, September 2012,Portuguese, português, Brazil): Download Galaxy Note II User Manual in Portuguese (português, Brazil) (in PDF, GT-N7100, Jelly Bean 4.1, September 2012,Portuguese, português, Brazil) (Right click, choose Save As to download). Download Galaxy Note II User Manual in Portuguese (português, Brazil) (in PDF, GT-N7105, Claro, Jelly Bean 4.1, March 2013. Portuguese, português, Brazil): Download Galaxy Note II User Manual in Portuguese (português, Brazil) (in PDF, GT-N7105, Claro, Jelly Bean 4.1, March 2013. Portuguese, português, Brazil) (Right click, choose Save As to download). Download Galaxy Note II User Manual in Chinese (简体中文,中国移动通信) (in PDF, GT-N7108, Jelly Bean 4.1, December 2012, Chinese): Galaxy Note II User Manual in Chinese (简体中文,China Mobile) (GT-N71o8) (Right click, choose Save As to download). This user manual is for Galaxy Note 2 sold in China (China Mobile). 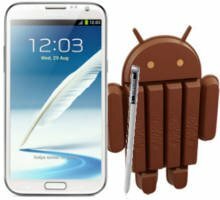 Download Galaxy Note II User Manual in Greek language (ελληνικά ) (in PDF, GT-N7100, Jelly Bean 4.1, December 2012, Greek language, ελληνικά): Galaxy Note II User Manual in Greek language (ελληνικά , GT-N7100) (Right click, choose Save As to download). This user manual is for Galaxy Note 2 sold in Greece (Hellenic Republic). This AT&T Samsung Galaxy Note II User Manual in English is for Galaxy Note II sold for AT&T (US) customers with KitKat update. The corresponding model number is SGH-i317 with 4G LTE. If you are NOT an AT&T customer, please do NOT use this AT&T Samsung Galaxy Note II User Manual because the features described in this manual may be substantially different from your Galaxy Note II. This manual is for customers who have updated the Galaxy Note II to KitKat. If you haven’d done so (i.e., you are still in Jelly bean), please use #6. This AT&T Samsung Galaxy Note II User Manual in English is for Galaxy Note II sold for AT&T (US) customers without KitKat update. The corresponding model number is SGH-i317 with 4G LTE. This manual is for customers who have NOT updated the Galaxy Note II to KitKat. If you already done so (i.e., you are in KitKat now), please use #5. This Samsung Galaxy Note II User Manual in English is for Galaxy Note II (Note 2) with KitKat update. It is for international version of Galaxy Note 2 sold in Europe, Asia, Africa, and South America. The corresponding model number is GT-N7100. If you are a customer of US carriers, please do NOT use this Samsung Galaxy Note II User Manual because the features described in this manual may be substantially different from your Galaxy Note II. This manual is for customers who have updated the Galaxy Note II to KitKat. If you haven’d done so (i.e., you are still in Jelly bean), please use #1. This Samsung Galaxy Note II User Manual in Korean language (한국어 SHV-E250S, Korea SK Telecom) with KitKat update. It is for Korean SK Telecom version of Galaxy Note 2 sold in South Korea. The corresponding model number is SHV-E250S. If you bought the phone from other regions please do NOT use this Samsung Galaxy Note II User Manual because the features described in this manual may be substantially different from your Galaxy Note II. This manual is for customers who have updated the Galaxy Note II to KitKat. If you haven’d done so (i.e., you are still in Jelly bean), please use others. This Samsung Galaxy Note II User Manual in English is for Galaxy Note II (Note 2) with KitKat update. It is for international version of Galaxy Note 2 sold in Europe, Asia, Africa, and South America. The corresponding model number is GT-N7105. Din’t find the User Manual (Guide) for your Galaxy Note II (Note 2) or in your language? Let us know it in the comment box below! We will try to find it for you. do you have a down load for the 2 simm samsung galaxy note 2 GT – N7102 manual in English? Galaxy Note 2 GT-7102 is mainly for China market. User manuals are only in Chinese. For Engish version of user manuals, you may have to check other model numbers of Note 2. We will add it this weekend. I’m suprised as the Quick start guide that came with the phone is for the N7102 and in English. Do any of the other Note 2model have the 2 sim slot arrangement? Not sure. At that time, dual SIM version of Note II was only available in very limited regions. Other than dual SIM and bundled bloatware, I don’t think there are any special features in the phone. Could you please find me the user manual in English for Samsung galaxy note 2- SHV E250S. My package came with only Korean Language. This is a model for Korean market. I don’t think there is an English user manual for it. You can just try English manual for the international model. Do you know how I can get greek language manual for Samsung Galaxy grand prime duos ? thank you. I don’t think the phone was released in Greece. So, probably Samsung didn’t release the Greek manual for it. I have Galaxy Note model SHV-E160L, can you provide me the english version-user manual for it? This model is for Korea market. There are no English manuals for it. I HAVE SHV-E250 MODEL SAMSUNG NOTE II BUT I DON’T GET ENGLISH VERSION OF MANUAL USERS,CAN I GET IT? SHV-E250 (S, T K) are for Korean market only. Samsung did not release English user manuals for them. Sorry. Manual needed is for Galaxy Note 2 GT-N7105 using Android 4.3 in English Language. Tks. Samsung probably only released the user manual for Jelly Bean 4.1 and KitKat 4.4 for Galaxy Note 2 N7105. You may try to update to KitKat 4.4. The corresponding manual is #9 Samsung Galaxy Note II User Manual in English (GT-N7105, International version, KitKat update). For Jelly Bean 4.1, you can refer to manuals for N7100. I need Manual for GT-N7105 English. Pls help. Tks. Hi, I am looking for a user manual and/or a site with tutorials for a note 2, model SGH-T889V, with Android 4.4.2. in English. Most info out there does not seem to match this phone, maybe an earlier version software, not sure. You may try #5, which is closest to your model. Yes please. I would like to have the korean manual for galaxy note 2 gt n7105. Again, the Korean manual is for Korean models. Hi, do you have galaxy note gt n7105 Korean manual? N7105 is international version. The models sold in Korea should be SHV-E250 (L/S/K). For international models, there are no Korean manual. Do you want to get any of the Korean manuals for Korean models (we have all of them with KitKat update)? Do you have the manual for the Note 2 model GT-N7100 Android version 4.4.2? What do you recommend? Jelly bean or kit cat? I am a newbee still with computers.. Im learning. But I noticed there is a lot to no. It’s never ending. I learn a few things everyday though. Lots of help with my brother and freinds and people like you. Thank you. Galaxy Note II was released with Jelly Bean about 2 years ago. It was recently updated to Kitkat, the latest version of Android. If you updated the phone, you are very likely using KitKat. This is very likely the last update for Note II. Anyway, I uploaded both manuals (Jelly Bean and Kitkat). You may download the PDF file at this page (#5 and #6). English plz. And I herd of jelly bean but not kit cat. What is jelly bean? Kitkat is the latest version of Android (4.4.x). Jelly Bean is the previous version (4.1, 4.2 and 4.3). 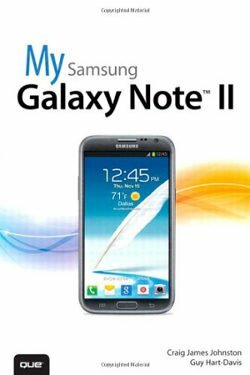 How do I find a free user manual for Galaxy Note ii, sgh-1317. Please find it for me. Thanks. Yes, we have the manual for this model (AT&T, SGH-I317, Note II). Do you need the manual for Jelly Bean or for KitKat? Do you need English or Spanish? hw can delete,small icon on my phone.note 2 E250.near in wifi signal.and network signal. Why do you want to remove/hide that icon? Most system icons cannot be hidden. In phone app, tap menu key, tap call settings–call rejection. I have tried to get the manual for the note 2 for over a year in English.. Please help me..
language? model number? This page already has some. I want to download the user manual for Galaxy Note II – GT-N7108, the English version. Please find it for me. Thank you. Added. #3. It seems this model is for China Mobile. Hi. I’m Charlie. I am in the same boat as you. Trying for almost 2 yrs for a English manual. If you did plz plz help me. Thanks. Portuguese version of Galaxy Note II User Manual for both N7100 and N7105 (Claro) was added. Enjoy.